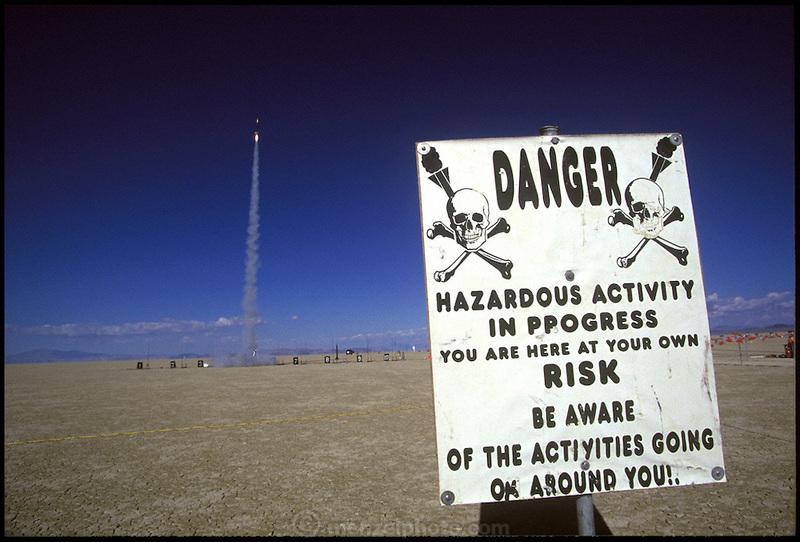 Amateur rocket launch warning sign. Launch of a rocket during the annual Black Rock X amateur rocketry event in the Black Rock desert, Nevada, USA. This huge flat expanse of land is a popular launch site for large and powerful amateur rockets as it is far from civilization and has little natural animal or plant life.